hello, the fash packers! 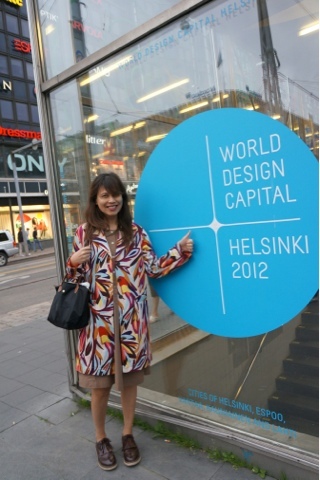 i'm in helsinki, finland! the home of nokia, marimekko, and angry birds. follow me on instagram to see where i go and what i do. it's my first time here, so i'm egg-zited! any suggestions on where to go, what to do, where/what to eat, and where to shop?? I like to have breakfast at Fazer cafe. Off Espalnade. Have Muiku (sp?) (the little fried fish with lemon) by the seaside and Hanna Partinen meatpies and rice pie.